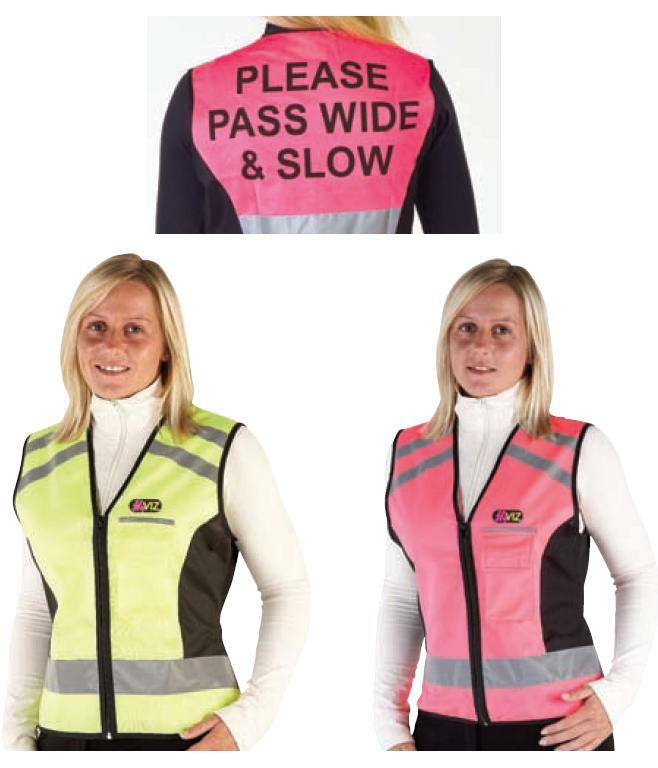 Stylish Hy VIZ Waistcoat with PLEASE PASS WIDE & SLOW printed on the back. CE marked. Certified to EN1150. Breathable fabric, with YKK zip fastening to the front and a pocket for your mobile phone. Elegant cut for a flattering fit. Fluorescent hi vis with silver reflective tape for style and safety, front and back. All year round visibility. Machine washable at 40ºC. Below are some recent questions we've received regarding HyVIZ Reflective Waistcoat - Please Pass Wide and Slow, including answers from our team. Please clarify measurements. The sizes previously quoted seem way out. All the HyViz waistcoats do come with a pocket but I am unsure of the exact size. They do say ideal for a mobile phone.